Have you ever watched a kids TV show before and recognised yourself in the mother? Here’s our list of the best fictional mums from children shows – just in time for Mother’s Day! Mummy Pig is a great reflection of the reality many mothers in the UK experience every day. With two naughty but lovely kids and a working-from-home job to juggle, she does her best to be a good role model. Unlike many other fictional mums, she is very “real”, and avoids some of the stereotypes that abound for this character. She is generally happy and upbeat, but also has understandable moments of anger when Peppa and George overstep boundaries. And while you can absolutely count on her in a crisis, she can be adorably clumsy. 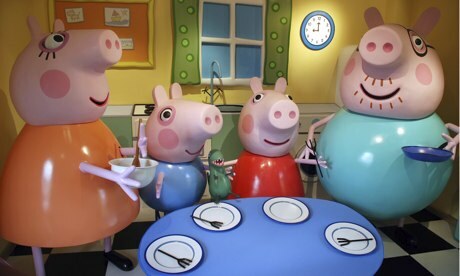 We love this little Best of Mummy Pig – see if you find yourself in any of these moments! 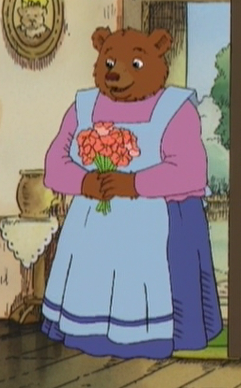 Little Bear, based on the beautiful books by Maurice Sendak, is a slightly older show. And while its stories remain timeless, its age is visible in Mother Bear’s character. She is an archetype of a mother who stays at home while Father Bear heads out to earn the family living. The fact that this scenario does not feel as natural as it was when Little Bear first aired, is a great reminder for how far we’ve come! Mother Bear is also a tribute to the previous generation’s mothers who dedicated their whole life to their children’s upbringing, and to today’s working mothers who manage both elements so successfully. Here’s to you! 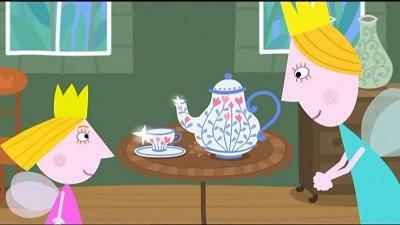 Queen Thistle does not play as big a role in Ben & Holly’s Little Kingdom as mums do in many other children shows. The main carer and role model for Holly, Daisy, and Poppy is actually the fabulous Nanny Plum – a truly modern set-up. Like Mummy Pig, Queen Thistle is a loving, friendly mother and an all-round powerhouse. She is a queen after all! Her reactions to misbehaviour aren’t always logical, which makes her all the more humane and loveable. For instance, she keeps complete calm when the subjects of the Little Kingdom are turned invisible, and her husband, Holly, and Ben are shrunk to miniature size by Daisy and Poppy. But when she gets a beautiful new teapot, and Nanny Plum covers for Holly breaking it, she threatens to turn her into a slug! Pssst: We have some new Ben & Holly going live for Club Hopster members on Mothering Sunday, including Queen Thistle’s Day Off. Get Hopster now! 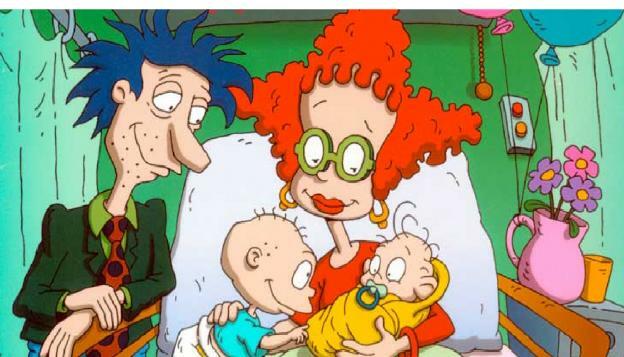 Did you know that Didi, the mother of Rugrats Tommy and Dil, is a part-time Home Economics teacher? And not only that: with her eccentric hairstyle, strict adherence to Dr Lipschitz’ child psychology wisdom, and fear of clowns, she’s a truly weird and interesting cartoon mum. Didi and her husband Stu are caring parents, and generally tend to pay more attention to all the Rugrats and the tricks they get up to. Didi’s role is more often than not to ensure fairness among the children and specifically, calling out Angelica on her delightfully manipulative ploys. Fun fact: Didi’s full name is, rather gloriously, Diane “Didi” Kropotkin Kerpackter-Pickles. 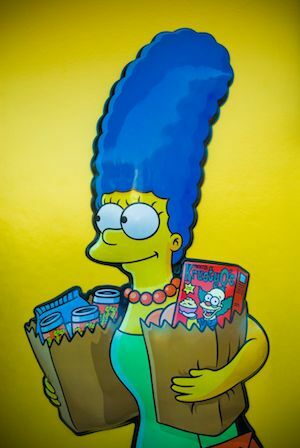 Alright, the Simpsons aren’t a children show, but if you’re talking about cartoon mums, there simply is no way of bypassing the glue that keeps the Simpsons family together. SPECIAL: try Hopster for free for 1 month with our Mother’s Day voucher MUMSROCK – redeem it here!